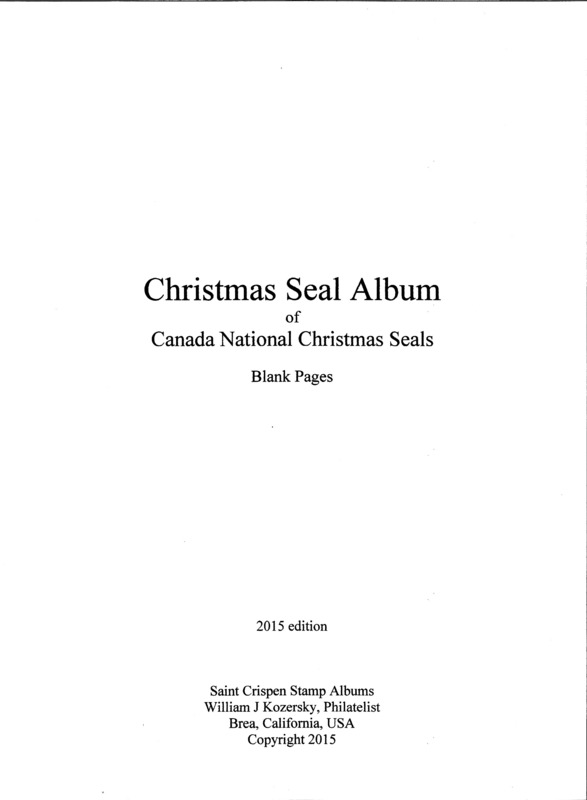 Canada Christmas Seal Albums & Pages: Here you will find albums by Saint Crispen Publishing. 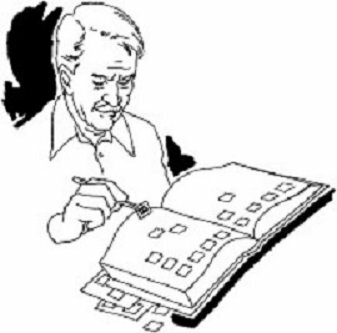 All that is needed is the addition of a binder of your choice. 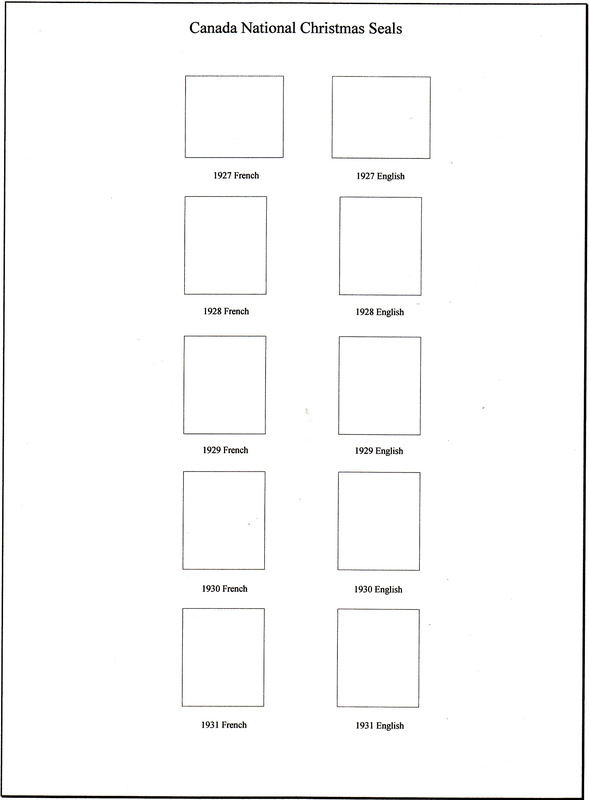 Further, With the available blank pages from Saint Crispen Publishing, you can arrange your national and local seals in a manner that you choose. 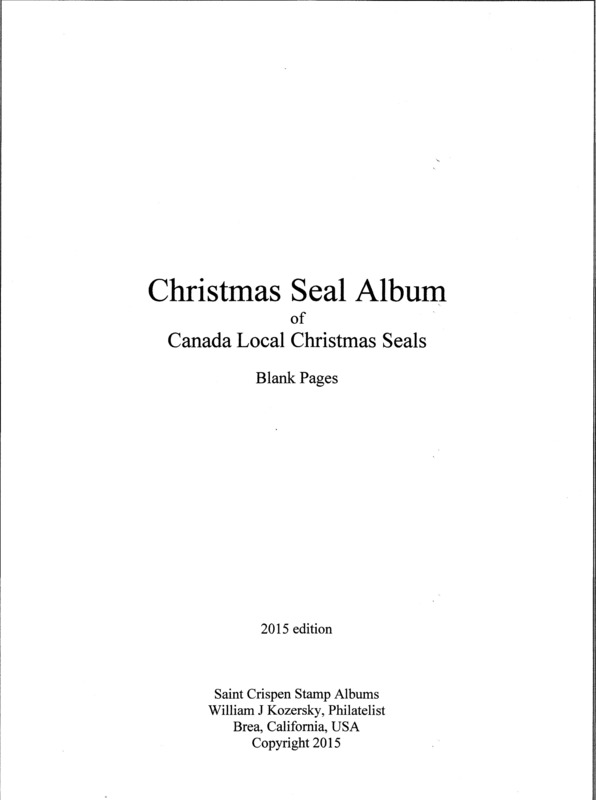 Saint Crispen Canada Local Christmas Seal Stamp Album Pages, package of twenty (20) blank pages with title and border. 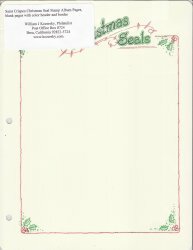 Saint Crispen Christmas Seal Album Pages, blank pages with colorful header and border, package of fifteen (15) sheets. All that is required is the addition of your seals, and an album cover.